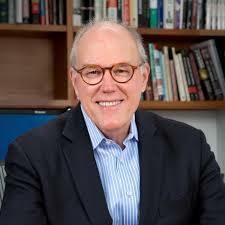 Bill Buzenberg, former vice president of news at National Public Radio, is co-author of Salant, CBS, and the Battle for the Soul of Broadcast Journalism (1999). 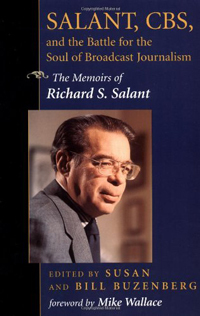 Salant tells the story of CBS News in the 1960s and 70s and its then president Richard S. Salant. A reader describes the book as follows: "The Buzenbergs have captured the essence of a unique man of principle. Using Salant's voluminous archives, this book is a fascinating trip through an era that established high standards in broadcast journalism. The book raises issues and questions which are at the heart of today's journalism. Household names Cronkite, Rather, Brokaw, Jennings, Sevareid are the characters in the tale of how the premiere broadcast news organization came to be - what and who held it together - and the inside view of a corporation struggling with its identity. For more information on Bill Buzenberg go to https://en.wikipedia.org/wiki/William_Buzenberg.